Lincoln City is a city in Lincoln County, Oregon, United States. It is named after the county. The population was 7,930 at the 2010 census. Delake was near Devils Lake, and was named for the way the local Finnish people pronounced the name of the lake. Delake post office was established in 1924, and reestablished as Oceanlake (see below) in 1927. The Lincoln City Cultural Center, housed in the historic DeLake School building, offers a wide variety of classes and events year-round. The Kite Festival in Lincoln City is held annually in June at D River Wayside, where several other World-class kite events are held. 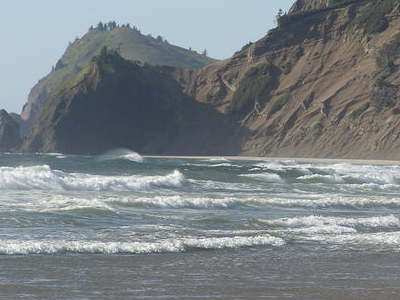 Here's the our members favorite photos of "Cities in Oregon". Upload your photo of Lincoln City!